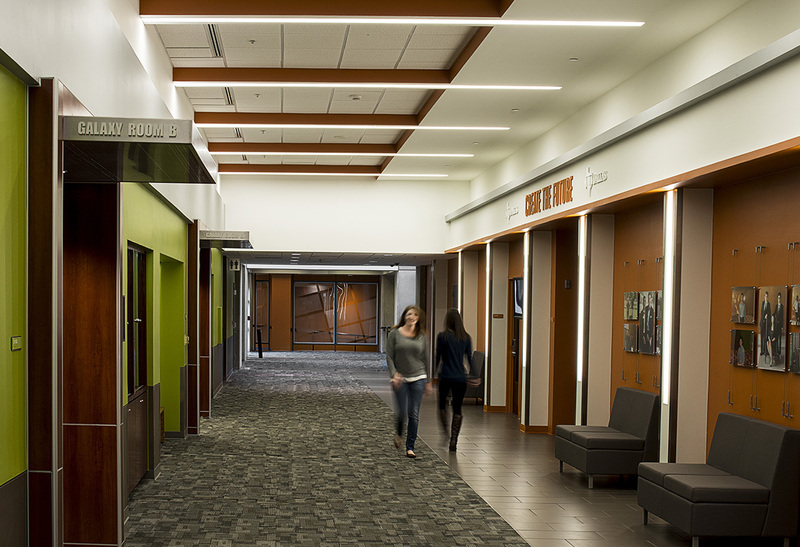 Creating a unified connection among diverse student spaces that each required their own identity was the challenge in the interior renovation of the University of Texas at Dallas Student Union. 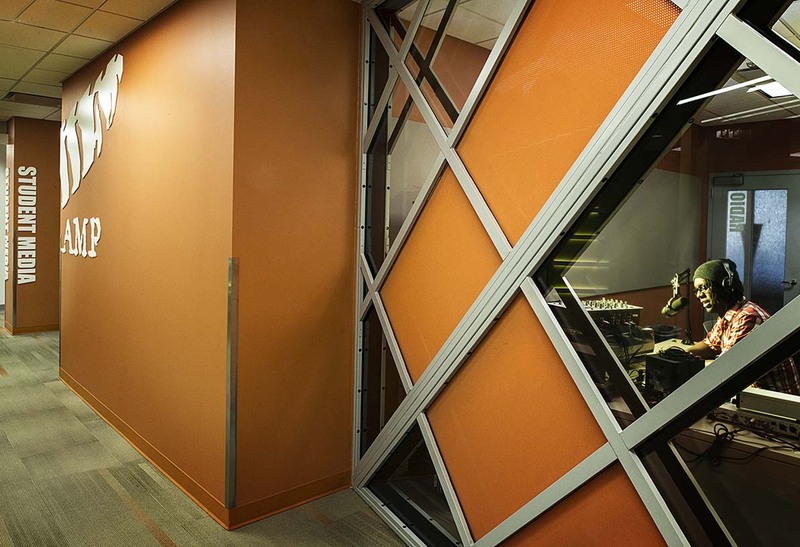 Various student media spaces (including newspaper, radio and television) are connected through a central corridor, which also connects to a quiet non-denominational Reflection Room as well as meeting and training rooms in this 11,1000 SF space. 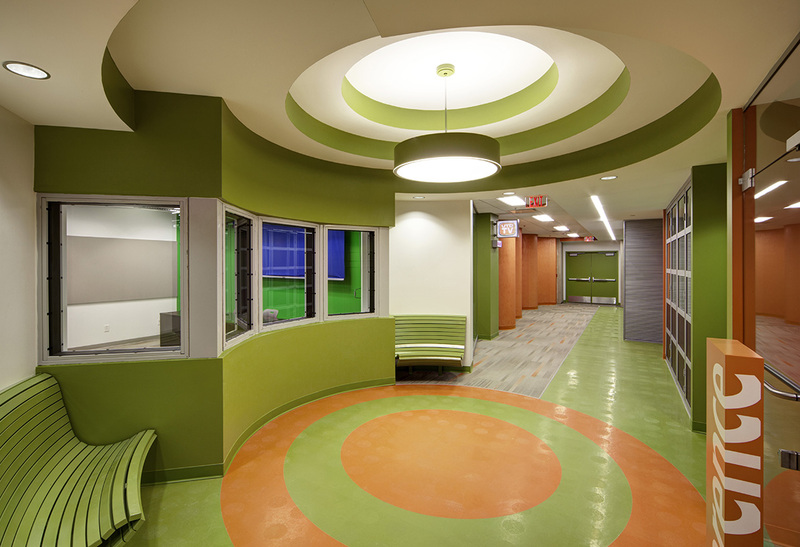 The interior concept centers on the idea of words and sounds traveling through space–culminating at a central organizing “epicenter,” complete with a concentric circle ceiling treatment to convey the reverberation of sound. 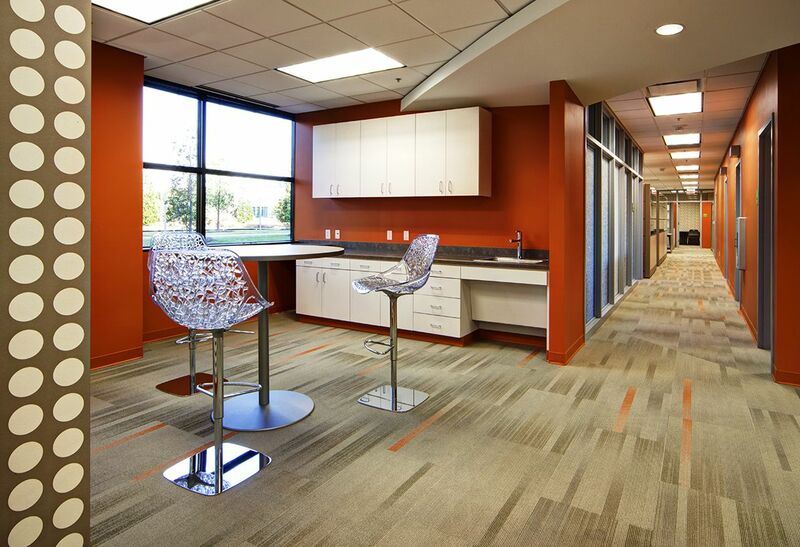 Modern shades of green and orange punch up the corridor connecting the various media spaces along with graphics that also convey a city street vibe. 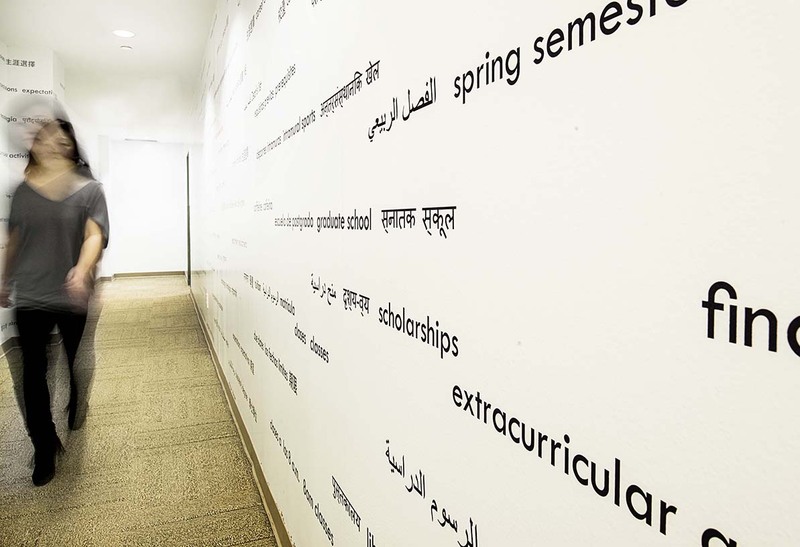 An angled hall leading to the Reflection Room gives a forced perspective, and is lined with a custom wall covering printed with words representing the joys and stresses of student life. 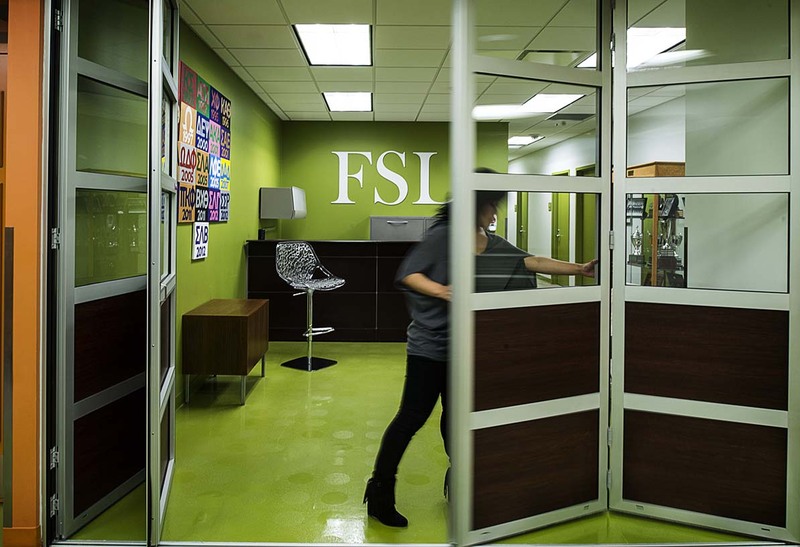 Words become darker and denser as one walks off the central corridor, and become lighter and fade away as one approached the Reflection Room to convey the release of daily stresses and demands.